We’ve been intrigued to read in the small print on the back of each of the most recent Beatle CD and vinyl releases a reference to a company called Calderstone Productions Limited. 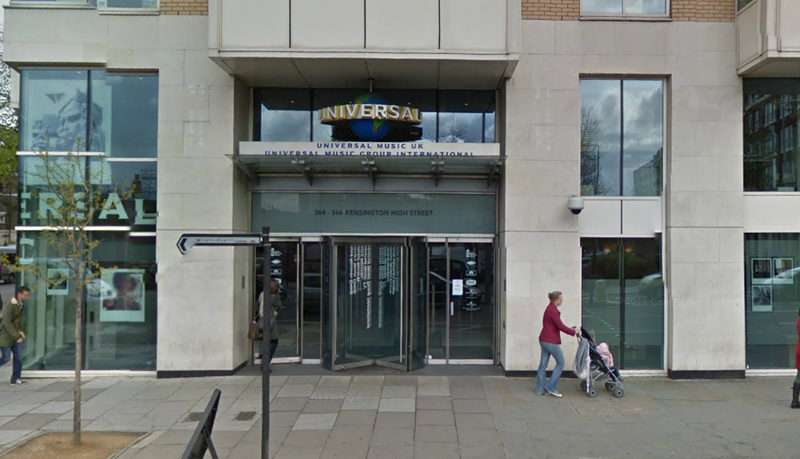 It has not been on releases prior to Universal Music taking over EMI, and so we began to wonder about what it is – and started doing some snooping. Would this make Let It Be…Naked the first official Beatles release since Universal got hold of EMI? Calderstone Productions is registered in the UK and was previously known as Beatles Holdco Limited. This was changed to Calderstone on 29 November, 2012. Calderstone’s Company Secretary is registered as a Mrs Abolanle Abioye (age 53 and also Secretary to Universal Music Publishing), and the Directors are listed as Mr Adam Barker (45 years old and a company director on at least fifteen other companies), and Mr David Sharpe (a 46 year-old Irishman, also listed as a director of at least another 15 companies, also mostly music-related). Calderstone lists a share capital of just £1 English pound – although this site says the company has a combined assets value of £7,954,000. Interestingly there are strong Liverpool links to the name Calderstone. There’s a park there called Calderstones Park. And Calderstones School is located opposite the park on Harthill Road in the Liverpool suburb of Allerton. The school was founded in 1921 as Quarry Bank High School, whose most famous student was one John Lennon…. This entry was posted in Beatles, Beatles Music and tagged Beatles, Beatles at the BBC, Calderstone Productions Limited, Music, The U.S. Albums, Universal Music by beatlesblogger. Bookmark the permalink. Calderstone Productions represents Beatles HoldCo. I love to read the small print! Had trouble with a number of vinyl re-mastered editions. A large number of the cuts had great music quality but the voices were faded as if an echo chamber. This occurs on most of the new vinyl LPs but not the Cds. Anyone else notice this? Liverpool Council are wanting to build on John’s beloved Calderstones Park. Please support our campaign and help stop it happening. Thanks for the heads-up Christine. Someone at Calderstone?UMG did not do their homework right re this limited edition release of Strawberry Fields/Penny Lane with new and first time UK 7″ stereo mixes. in copying the original UK EMI-Parlophone labels (yet changing the rim text including made in the EU the matrix is now incorrect and wrong and to any Beatle fan a joke (after all EMI means every mistake imaginable) that mistake here is massive and should never have happened or been allowed. In EMI’s methodology and matrix mastering an ‘X’ denotes a mono mix and ‘Y’ a stereo mix as this single is now stereo why is the old mono matrix printed 7XCE it should be 7YCE simple and easy. Sack those that don’t know how to do their jobs. A2 instead of A1 Andy White over Ringo and the wrong catalogue number belonging to Matt Monroe! Some people at Calderstone do not know their XYZ ! I first looked into this after seeing it at the end of “The Making of Sgt. Pepper” on the DVD inside my new copy of the Sgt. Pepper Super Deluxe Edition” (2017). My purpose was to discover if the Beatles got the rights to the portions of their music back which had been held by Michael Jackson. (LOL). Does anyone know the answer? Now that is a really good question! I can only assume that when EMI was split up into its various parts, with artists and labels being negotiated for, divested, etc. there were all sorts of deals done around the licencing of trademarks and images associated with back-catalogue. The rights to manufacture and distribute The Beatle canon of work went to Universal, so with that they must have been given specific permissions to reproduce the Parlophone trademark on covers and labels when creating accurate reproductions of previously released Beatle material. This would seem to be the case because there is no mention of licencing agreements with Warner Music given on the labels or in the small print anywhere. In other words, Universal don’t seem to have to pay Warner Music a per-use fee for that right. 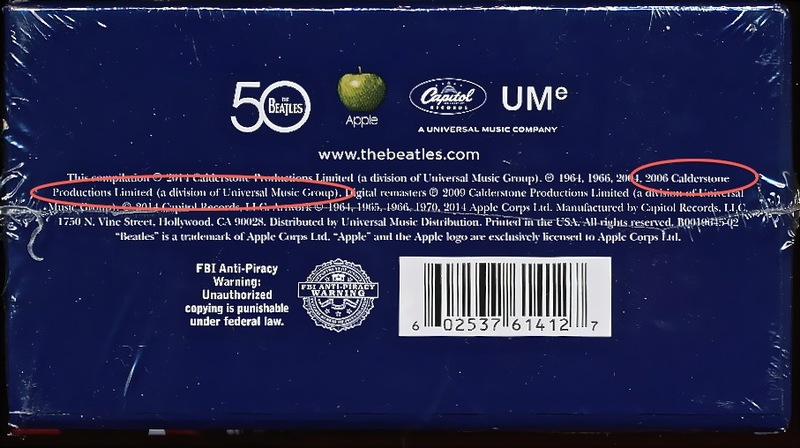 In contrast, the use of the Apple label is certainly a trademark that the Beatles company Apple gives exclusive permission to Universal to use – and you can see this specifically mentioned in the small print on all printed materials associated with each album (or single) where the Apple label appears, or there is content that Apple owns or has an interest in (e.g. music, photographs, etc). I think the Wikipedia entry about Parlophone (see: https://en.wikipedia.org/wiki/Parlophone ) kind of spells this out. For example this sentence: “On 28 September 2012, regulators officially approved Universal Music Group’s planned acquisition of Parlophone’s parent group EMI for £1.2 billion, subject to conditions imposed by the European Commission requiring that UMG sell off a number of labels, including Parlophone itself (aside from the Beatles’ catalogue, which was kept by UMG and moved to Universal’s newly formed Calderstone Productions)” Hope this helps. I find this stuff kind of fascinating – it’s the actual music business, or the business of music. If anyone else has any thoughts or knowledge please feel free to weigh in! Good work, my friend! This is indeed fascinating stuff. I am also rather intrigued by UMG’s use of the Parlophone name and logo on Pepper.